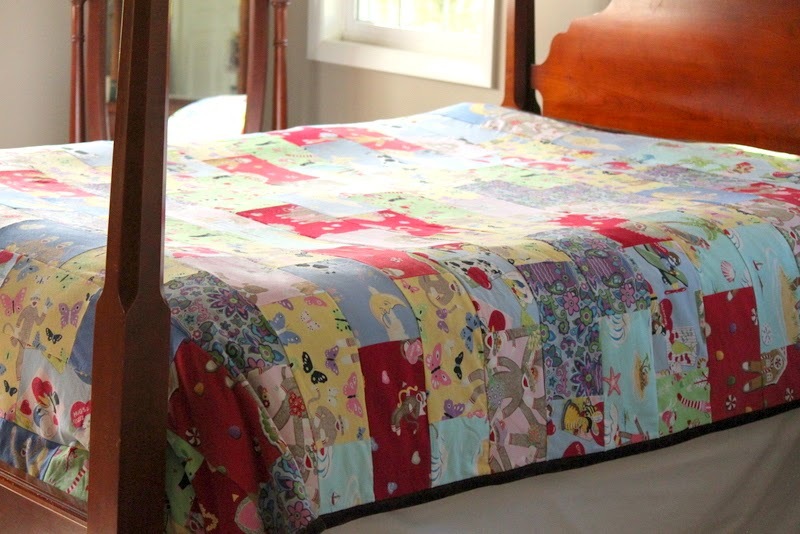 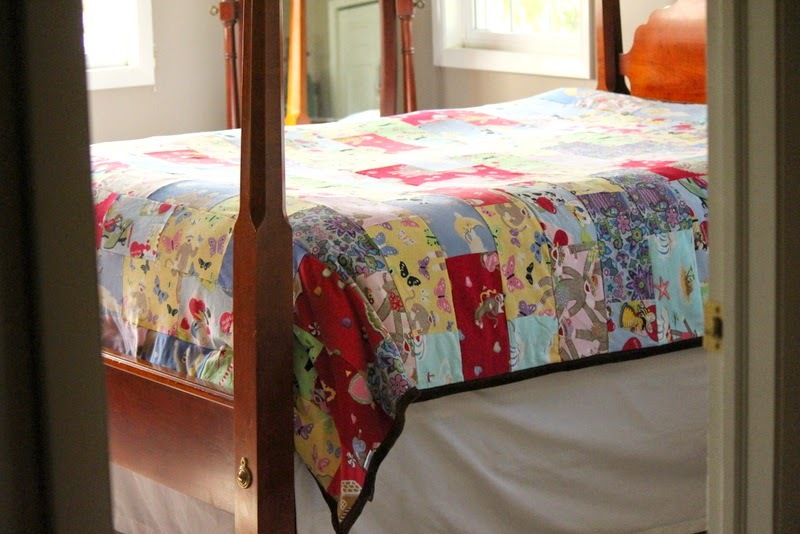 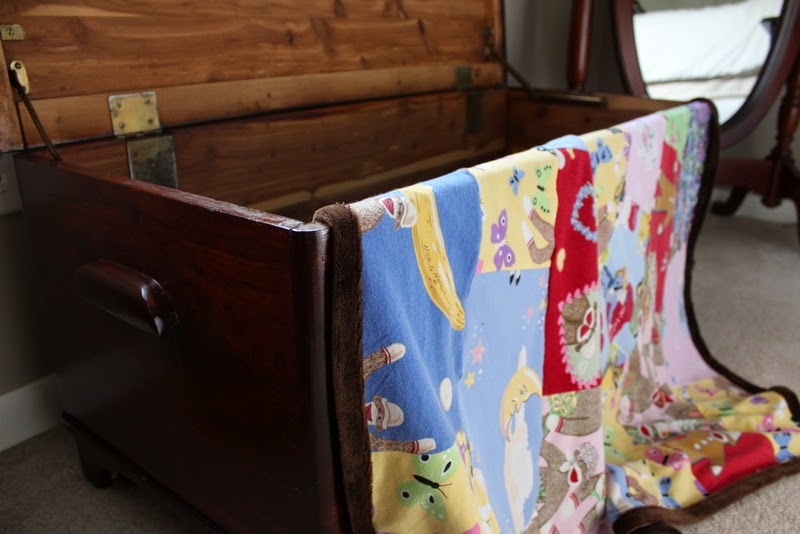 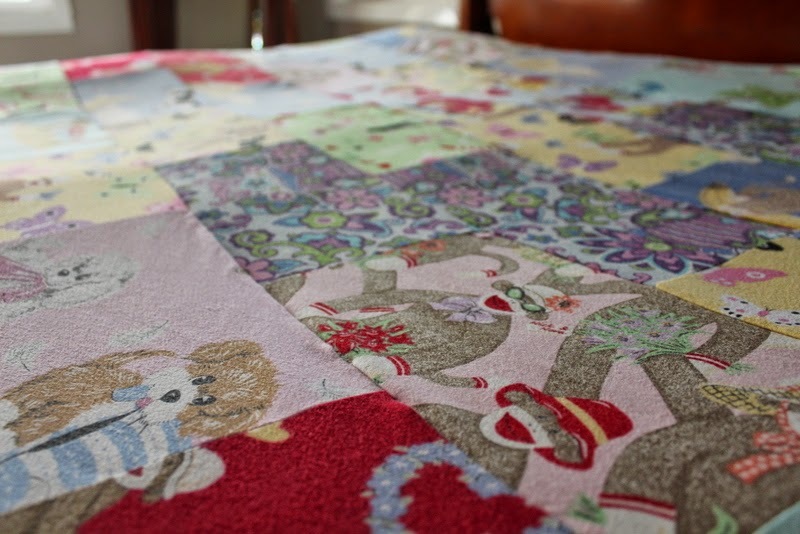 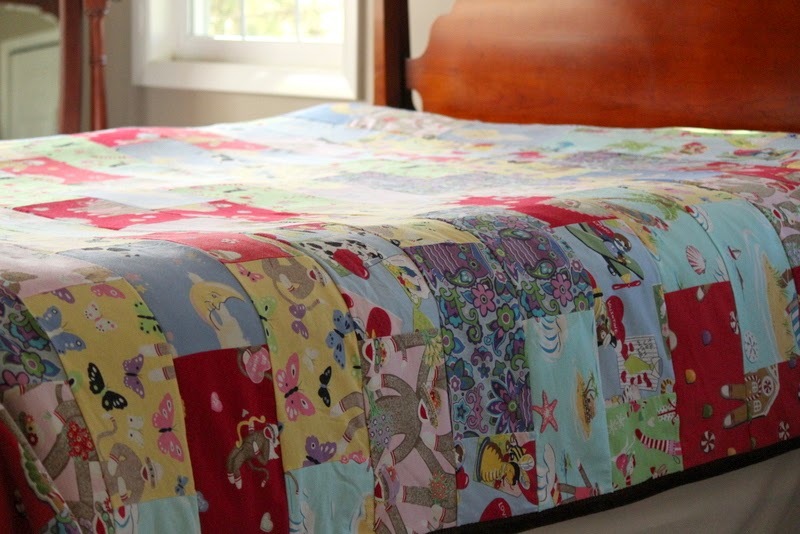 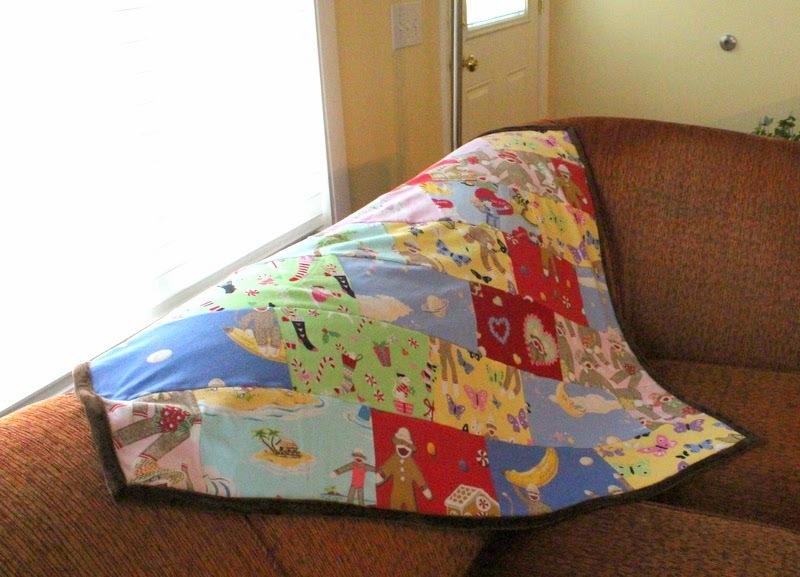 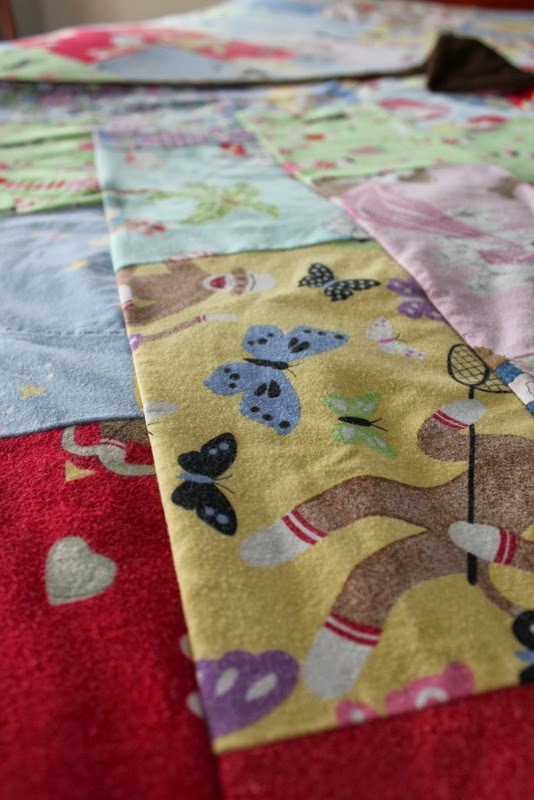 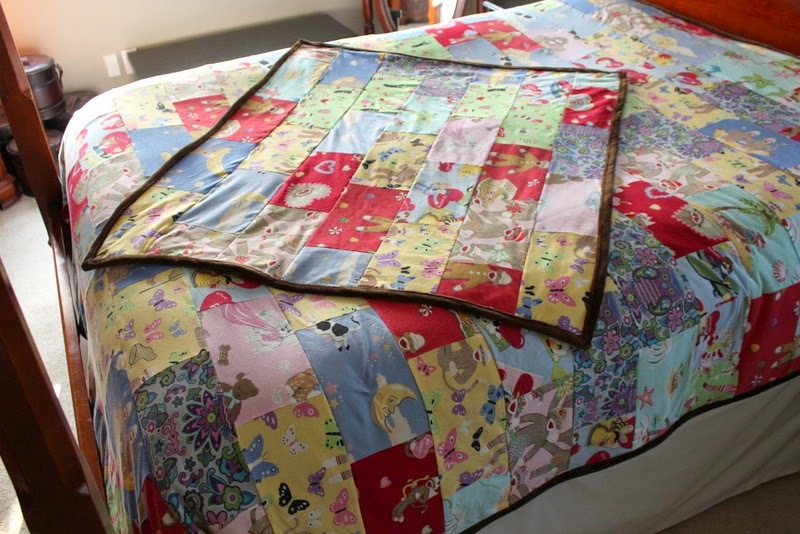 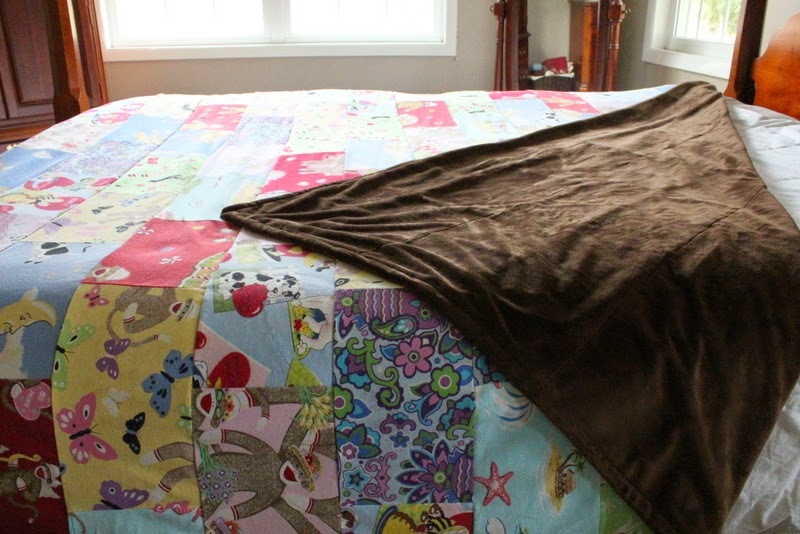 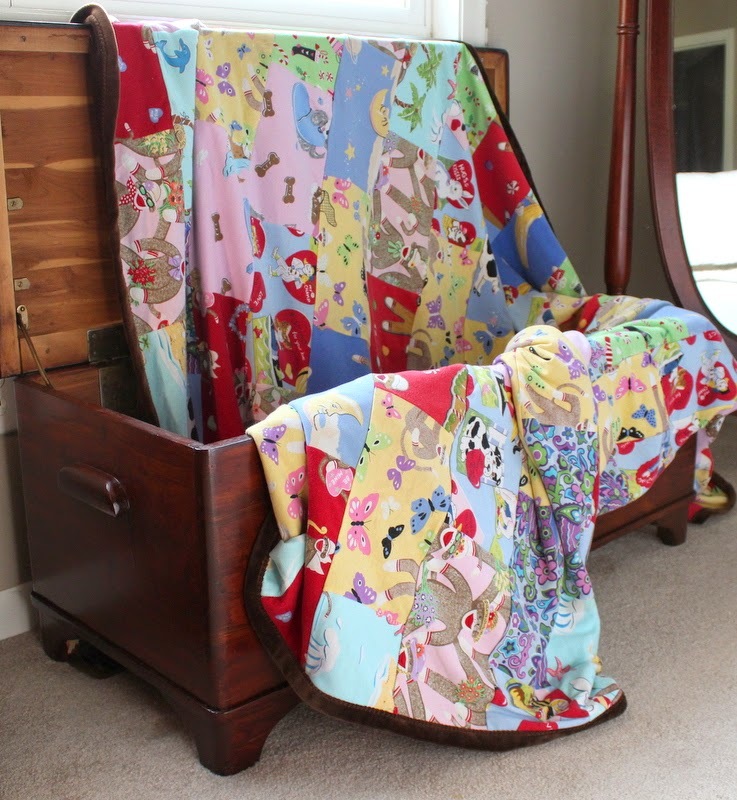 A Pajama Quilt Blanket for a customer who lost her mother. 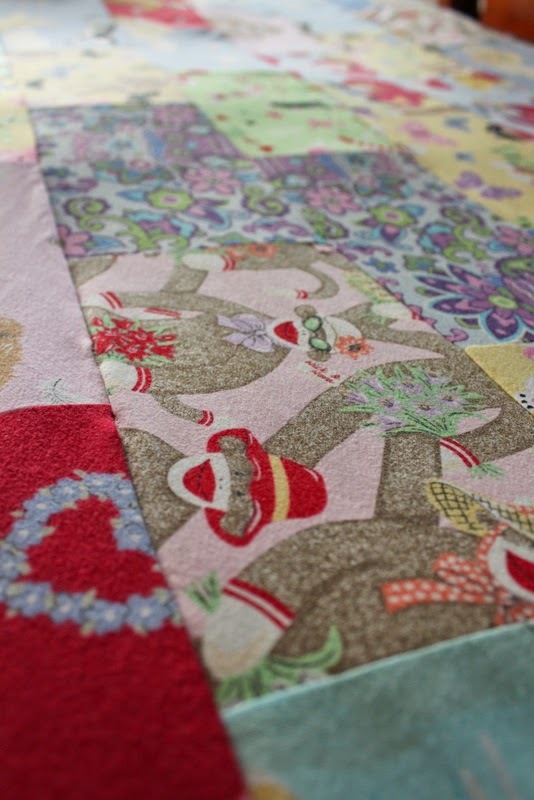 I used a variety of her special knit nightgowns. 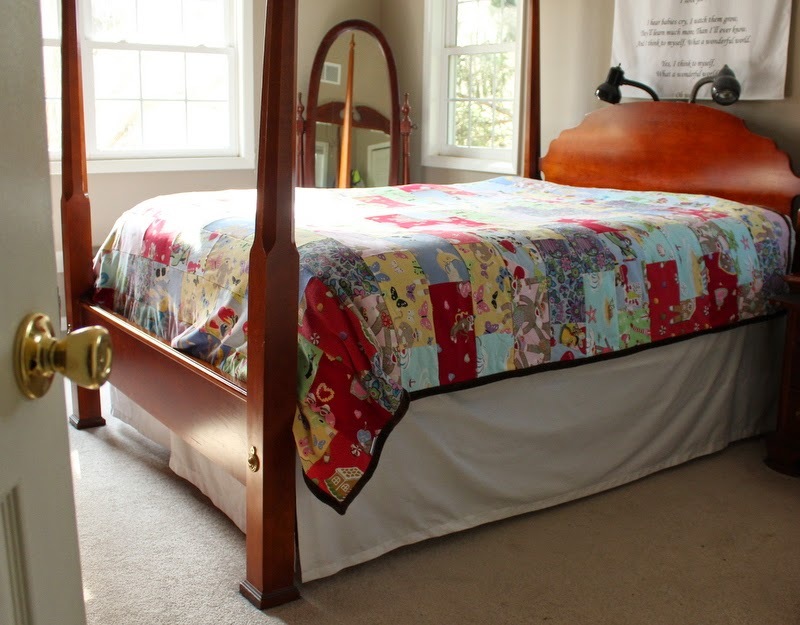 The brick style works well for a project like this with a wide variety of fabric designs. 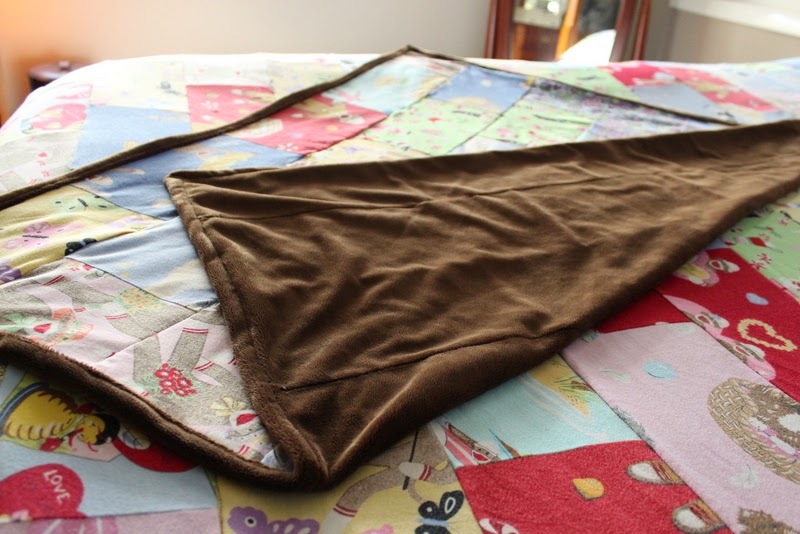 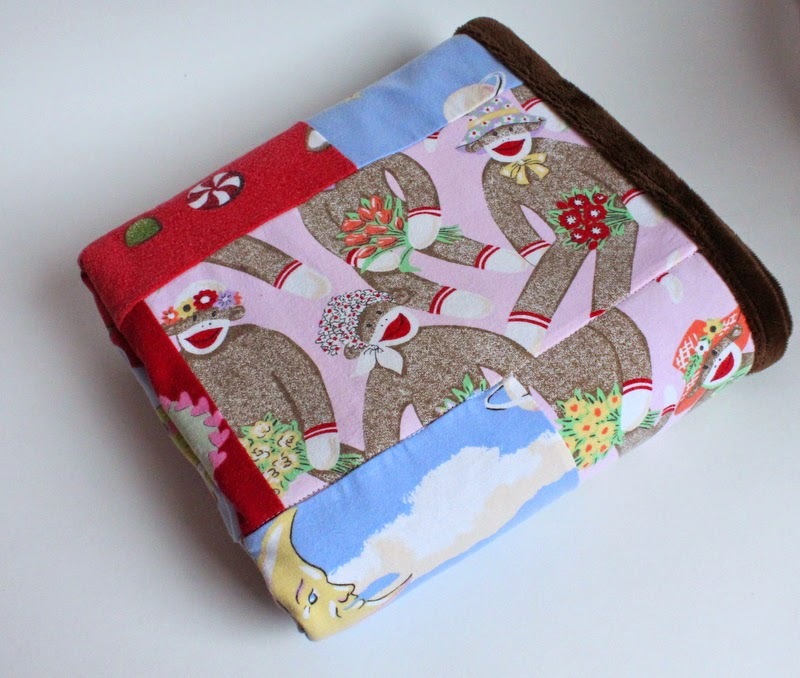 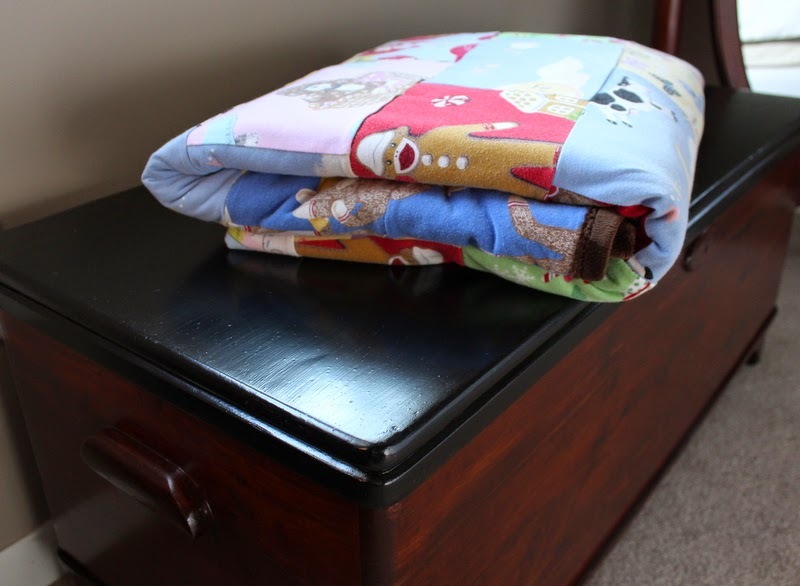 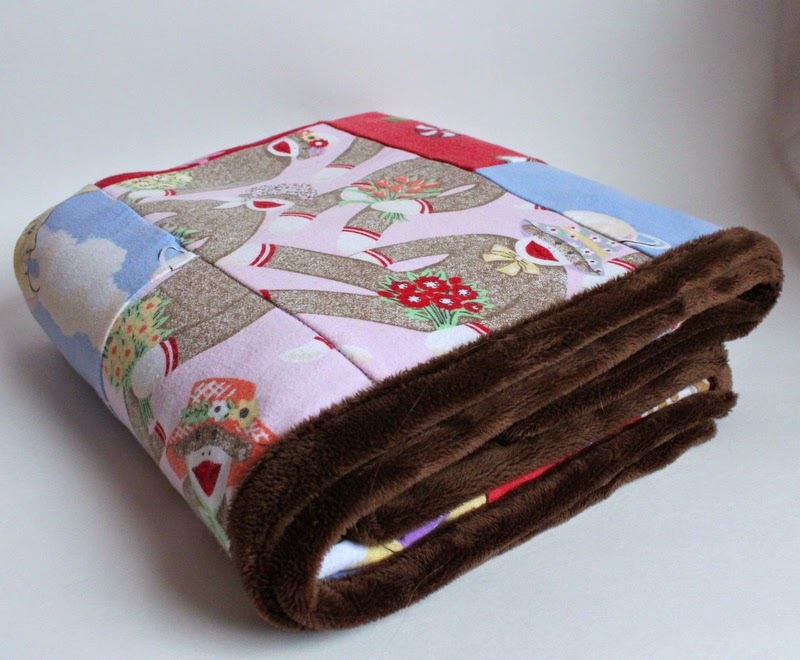 The backing is a cozy, chocolate minky fleece. 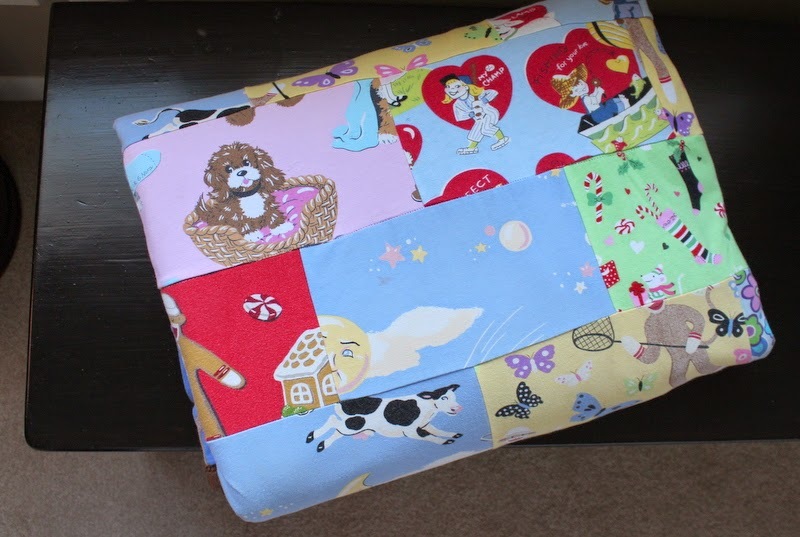 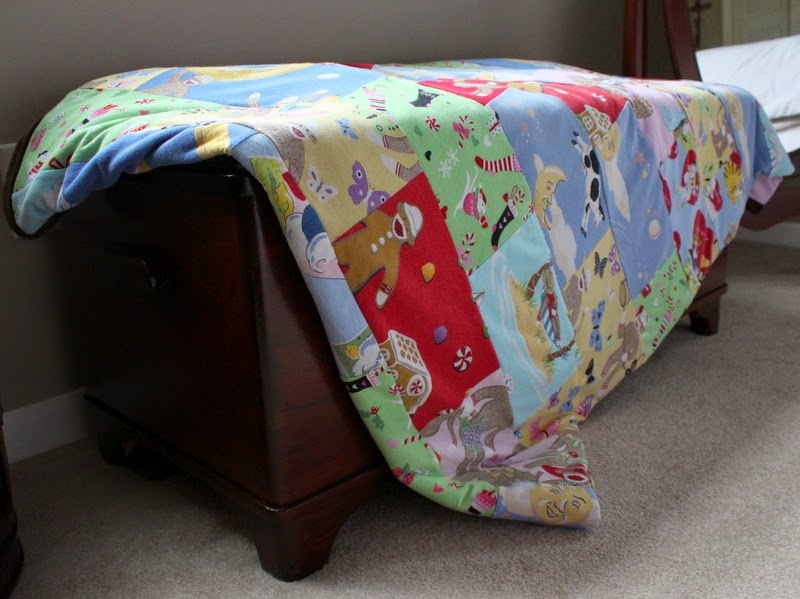 I had enough to make her son a blanket, as well. 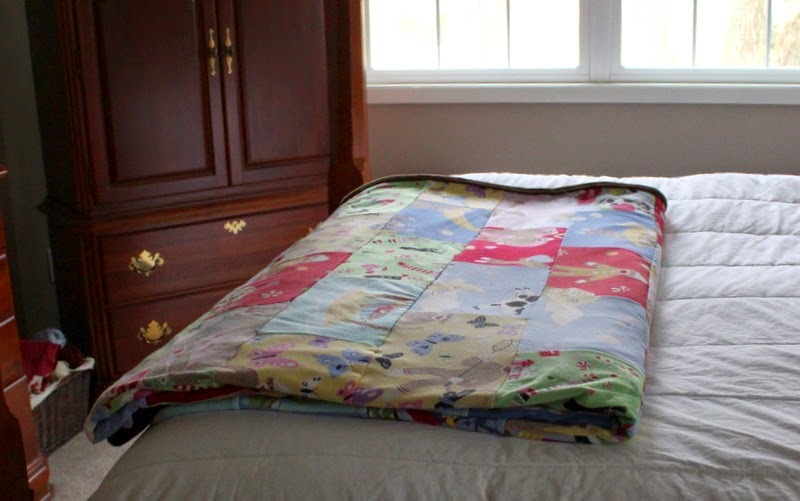 I had a wonderful visit with my customer when she was in town and hope that these special memory items bring her comfort.